There will be a procession to Forest Home Cemetery for the burial following the funeral service at the funeral home. Passed away Sunday, October 15, 2017 at the age of 53. 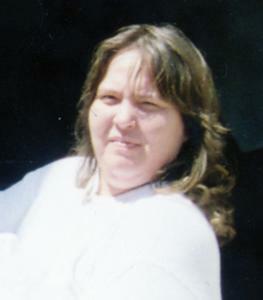 Pauline is the cherished mother of Crystal Lopetkiewicz, Donald Lopetkiewicz and Amanda Lopetkiewicz. She is the loving grandmother of Lyanalez, Lillyanna, Deangelo Jr., Jadah, Kenny, Selena, Jazzyanna, Shana, Jeremiah, Joseph and Shane. The beloved wife of Brian Emery. Dear sister of Karen, Shela, Carol and Leon Jr. Further survived by nieces, nephews, other relatives and friends. Family and friends will gather Friday, October 20, 2017 at the Funeral Home from 11:00 AM until time of the Funeral Service at 12:00 noon. A procession will follow the service to Forest Home Cemetery.